If you thought blogging or creating websites is just for advertising and affiliate marketing, think twice and read this. 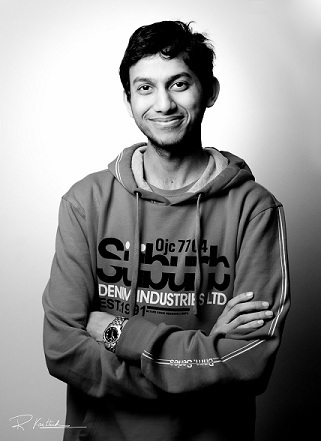 19 year old entrepreneur, Ritesh Agarwal from India has won the Thiel Fellowship for USD 1,00,000 for two years. That's around Rs.54.00 lakhs at today exchange rate. Now back to the article. The Thiel Fellowship which was earlier called the 20 under 20 fellowship is given by Peter Theils Theil Foundation. Peter Theil created this Fellowship to support the young entrepreneurs under 20 years of age and offers them $1,00,000 for a period of two years along with guidance and resources to drop out of college and pursue other cherished work including scientific research, creating startups, or working for a social movement. Peter Thiel is incidentally,one of the founders of PayPal and the first outside investor in Facebook. So he knows a thing or two about startups. This years 20 winners under 20 years of age include only one Indian, 19 year old Ritesh Agarwal. Ritesh Agarwal is the founder of Oravel.com, a website which offers alternatives to hotel booking in India. He has a team of 15 teenagers who look after the site with him. He himself had graduated from VentureNursery Season 1 acceleration program in 2012. As a Thiel Fellowship winner, Ritesh will use technology to bring affordable and standardised accommodations to emerging economies across the world, starting with India. Ritesh started Oravel.com when he was 18 years old and at 19 he become one of the youngest entrepreneurs in India to get an angel investor in form of VentureNursery to back his startup. Incidentally apart from Ritesh all other 19 winners are either college dropouts or have started their own startups. You can read the full list of winners here. Please comment in on what you would have to say about Ritesh and his new found success. That's a great news. Hard work really pays off, this is the proof of that. very inspiring kiddo !! deserving too ..